It's a monetary metal, a proper currency. It's a critical industrial material used in everything from automobiles to solar panels. And of course it's an ornament, too, that people wear as jewelry. Here's the thing… As diverse as it is, the global silver market is relatively "small"; as of 2014, the physical market had about $20 billion in play. So this versatility and small size can add up to volatility. The silver market can explode and recede like a wave, sometimes in very short order. Silver's price is highly influenced by gold's price, too, though there are many other drivers and catalysts at work. But right now, silver's relationship with gold and a combination of those other forces are all are working together to ensure that silver is unnaturally, incredibly cheap. Silver jewelry is back in fashion. And that's great news for silver investors. A recent survey by the Silver Institute indicates that U.S. silver-jewelry sales rose again in 2015. That makes it the seventh straight year of gains. Sixty percent of jewelry retailers saw higher sales, with the average increase being 15%. Nearly half of silver retailers said that silver items boasted the highest turnover rate last year. And those silver-jewelry retailers are pretty confident this trend will continue. Impressively, 87% of retailers said they were optimistic the strong sales of silver jewelry will persist. That has caused more than half of surveyed jewelry retailers to boost their silver inventory by an average of 21%. So look for jewelry to remain a strong component of silver demand in the future. But that's just part of the picture. As it turns out, those who want physical silver aren't just resorting to jewelry; mint sales are way up, too. People, it seems, simply can't get enough silver coins and bars. The U.S. Mint has sold nearly 15 million ounces of silver American Eagle coins since the start of 2016. That's already 25% higher than by this time last year. Should this pace continue, the Mint could sell 60 million ounces in 2016. That would be a historic record. Australia's Perth Mint Chief Executive Richard Hayes recently said that sales have been exceptionally strong lately. He added, "World markets have helped, there is a lot of uncertainty." Hayes considers demand from China for cast bars and healthy orders for coins and bullion from Germany and the United States to have contributed. But this isn't the only method investors are using to acquire their silver. While inflows into gold-backed exchange-traded funds (ETFs) have slowed slightly of late, the reverse is true of the silver variety. According to Commerzbank, current silver ETF holdings are at their highest since late 2014. The bank commented, "Whereas interest in gold ETFs appears to be dwindling somewhat at present, interest in silver ETFs is growing… The silver ETFs tracked by Bloomberg recorded inflows almost every day in March… Holdings have been increased by 903 [metric] tons since the beginning of the month and currently find themselves at their highest level since December 2014." According to Newsmax, "Investors are buying silver through funds at the fastest pace in more than two years. Holdings in silver-backed exchange-traded products jumped 845.6 metric tons in March, heading for the biggest monthly increase since August 2013." While supply and demand are certainly important long-term drivers of the price of silver, sentiment typically has bigger sway in the near and medium term. Thanks to silver's small global market footprint, investors typically look to gold for a sense of direction. Silver suffers from delayed reaction to gold price moves. And sometimes, that delay can last for months. It's happened numerous times since the silver-gold secular bull market launched in earnest back in 2001. Typically, the silver price will leverage that of gold by a factor of 2-to-1, but that's over the long term. Looking at the returns on these two metals since their mid-December lows confirms silver's delayed reaction. While gold's recent peak brought it into "official" bull territory with a 20% gain, silver only mustered about 14%. But to gain even better insight into silver's future potential, there's plenty to glean from the gold/silver ratio. By simply dividing the gold price by the silver price, it tells us how many silver ounces we can buy with a single gold ounce. When that ratio moves to multiyear extremes, it usually means there's a tremendous opportunity at hand. As it turns out, that's the case right now. If you look back over the last five years since silver peaked at $49, it's fallen pretty hard, by about 72% when it bottomed in December. Gold, on the other hand, gave up about 45%. And that has pushed the gold/silver ratio to a point it last reached, above 80, during the depths of the financial crisis in 2008. After that, when silver soared to $49, the ratio bottomed around 32. 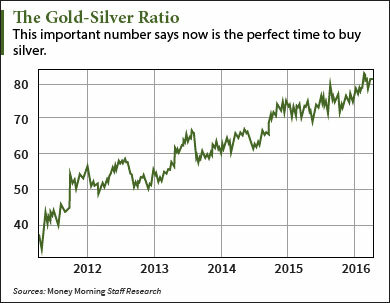 Ever since then, the gold/silver ratio has been working its way back to an extreme high of 83, which it recently touched in early March. The end result: silver, relative to gold, has been getting very, very cheap. But remember – markets tend to revert to their means. So that would have the silver/gold ratio return to its pre-financial crisis average of 55. If gold were to remain at $1,230, a gold/silver ratio of 55 implies $22.35 silver. That's a 48% gain! If it stopped there, that would be great news, but it gets better. Much better. You see, I don't expect the gold price to remain at $1,230. I expect it to instead rise much, much higher. So that implies even higher silver prices yet. Silver is now primed to outpace gold's gains and soar much higher from current levels. Here's a simple way to sprinkle your portfolio with silver: the Sprott Physical Silver Trust ETV (NYSE Arca: PSLV). PSLV is an exchange-traded vehicle that holds its silver bullion, fully allocated and stored at a secure third-party location in Canada, and is subject to periodic inspections and audits. There's no levered financial institution involved, and the tax advantages for U.S. investors are such that holding for at least 12 months allows one to benefit from a 15% (approximately) capital gains tax versus the 28% rate with most precious metals ETFs. But there's another play here, too, one with even more punch that could really juice up the gains from your PSLV holdings. 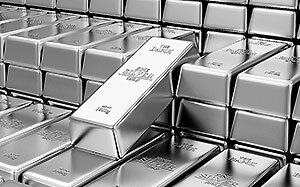 Have a look at the ProShares Ultra Silver ETF (NYSE Arca: AGQ). AGQ gives you a way to get twice the daily gains that just holding silver can bring you. And the leverage is built in, internally managed, and packaged within the units. That means you don't invest on margin, and you don't need to worry about margin calls. Nevertheless, I recommend using capital you have set aside for speculative moves – evaluate your risk tolerance, and by all means don't stake your retirement on this one. This ETF will move both up (and down) by twice as much as silver does on any given day, so you could face twice the daily losses if things go against you. To protect yourself as much as possible, check this holding every day, and be sure to use either a trailing stop, or at least a hard stop. I recommend setting one at $26.67, the low AGQ reached back in December 2015. Keep in mind that silver is more volatile than gold, but can far outpace it on the upside. According to the gold/silver ratio, silver is due to play catch up and even pull ahead. I'd be willing to bet sentiment is turning in silver's favor, and dramatically so. Just don't expect it to remain this cheap for long. Here's how you can scoop up profits on the "source" of the silver boom. Silver stocks are directly tied to the price of gold – and right now, gold is headed straight up. 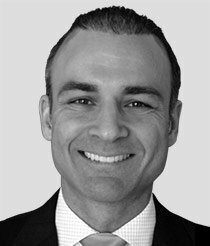 In his 2016 Gold Playbook, Michael Lewitt shows you his favorite gold miners, ETFs, and physical gold dealers, plus tips on when and how to buy. As a bonus, he also shows you how gold will help protect you from the coming $200 trillion "Super Crash." Click here to access Michael Lewitt's free special report now and to receive his twice-weekly Sure Money. I read your today's article about Silver forecast "When silver will top $22…". In that article you recommend AGQ and PSLV for investing in silver. I looked up both and of course both are at their yearly highs, so not a right time to buy. I always have this question regarding investment recommendations by everyone involved in such guidance, and the question is "Why do you make recommendations after those opportunities have reached their highs?" It looks like the person who recommends have already bought into it and now ready to sell ! Thanks for your comments. However, there is plenty of research that indicates buying at new highs can be very profitable as it’s confirmation of a renewed bull market, and momentum is on your side. If you look at PSLV it’s still 72% below is 2011 high, and AGQ is 95% below its 2011 high. Of course, there are no guarantees, but both are much closer to their bottoms than to previous highs. I am big into silver and gold mining stocks. With AG, Majestic Silver, I am at a 200% profit since mid January.Riskier, yes! But if silver is going to $22., I imagine a return of about 500% What trailing stop percentage do you recommend with these silver and gold miners? Many thanks. Has been lower price than gold, used in catalytic converters in a growing auto industry. Supply is limited and finite. Rises/falls with gold and silver, Play IMPUY, Impala Platinum,world's second largest platinum mine co., just starting its climb. any reason you did not mention SLV an ETF that follows the price of silver? JPM is the custodian. In other words, the fox is in charge of the chicken coop. Unlike PSLV, the silver is NOT fully allocated and NOT stored at a TRUSTED secure third-party location, and is NOT subject to periodic inspections and audits. And there's definitely a levered financial institution involved. Don't be duped. SLV is a fraud waiting to be uncovered. I'm a big fan of silver and think it's going higher too … eventually … but here's the truth that cannot be uttered. The silver market isn't driven by supply and demand for physical silver. If it were, the price would be at multiples of where it is now. It's driven by the futures price on the Comex. And the price is being suppressed by powerful banking interests. JPMorgan and the Bank of Nova Scotia are the principal players. They hold a grotesquely large short "paper silver" short position and periodically mount bear raids to rout the longs and ring the register. Do they do it for profit? Yes. Do they do it to discourage people from rushing to silver as real money? Yes. Can't have that when the Fed is debasing the currency. And JPM IS the Fed for all intents and purposes. As for the record sales by the mint, who's buying that silver? It sure isn't the public at large. Ask any dealer in silver coins how the retail business is? Not good. So, who's buying the Eagles and Maple Leaves? JPM. They're stockpiling a massive amount of physical silver while they actively suppress the futures price. The only question really worthy of consideration in the silver market is whether they'll back away from the shorting at some point, let silver fly, and make a killing … or if they'll use that stockpile to continue the suppression indefinitely as a not-for-profit seller doing the dirty work for the Fed, the Exchange Stablization Fund and the BIS. Shorting a currency, a stock or a commodity entails a cost (borrowing cost). The problem is the 'naked shorts', where the borrower does not need to pay for holding a short position! That is EVIL! As long as silver is being manipulated by the naked shorts on the Chicago Mercantile Exchange, it's true value will not be realized. I call on the silver producers to set up their own exchange and get rid of the yoke of the evil shorts!